Melatonin has been most widely researched regarding its nighttime release from the pineal gland, a process that intimately involves melatonin in circadian rhythm regulation. However, melatonin is produced by an array of cell types including astrocytes, placental trophoblasts, immune cells and enterochromaffin gut cells. Melatonin has a number of significant effects such as acting as an antioxidant, anti-inflammatory, antinociceptive and immune regulator, as well as optimizing mitochondrial functioning and inducing endogenous antioxidants. Such effects allow melatonin to have clinical efficacy across a wide diversity of medical conditions including neurodegenerative and psychiatric disorders and even in the management of cancers. The melatonergic pathways, pathways which function to directly modulate the melatonin system in the body, are intimately associated with more investigated processes in the gut, gut microbiome and gut-brain axis. As the melatonergic pathways are dependent on levels of serotonin availability as a necessary precursor, decreased melatonin is linked to depression and depression-associated disorders. Overall, the melatonergic pathway may be intimately associated with gut regulation as well as the processes driving the immune-inflammatory interactions of the gut-brain axis. So what does this have to do with pregnancy and breastfeeding? Over the course of pregnancy, the placenta produces increasing levels of melatonin, in a non-circadian fashion. The melatonergic pathways are, therefore, activated throughout pregnancy, providing beneficial effects to the mother, fetus and the placenta. At parturition, this continuous supply of placental melatonin ceases for the mother and the newborn baby. An aspect of the transition from fetus to newborn is the loss of continuous protection afforded by placental melatonin. To some degree, the loss of placental melatonin is compensated in infancy by its presence in breast milk. It should be noted that infants do not show a circadian production of melatonin until they are 3 to 5 months old, which typically corresponds to the cessation of breastfeeding for many women. However, in many cultures, breastfeeding is continued until the infant is older, even beyond 1-year-old. The regular nighttime rise in pineal melatonin increases circulating maternal melatonin levels, which are transferred through the breast milk to the feeding infant, along with N-acetylserotonin (NAS), which is a naturally occurring chemical intermediate in the endogenous production of melatonin from serotonin and other various melatonin metabolites. 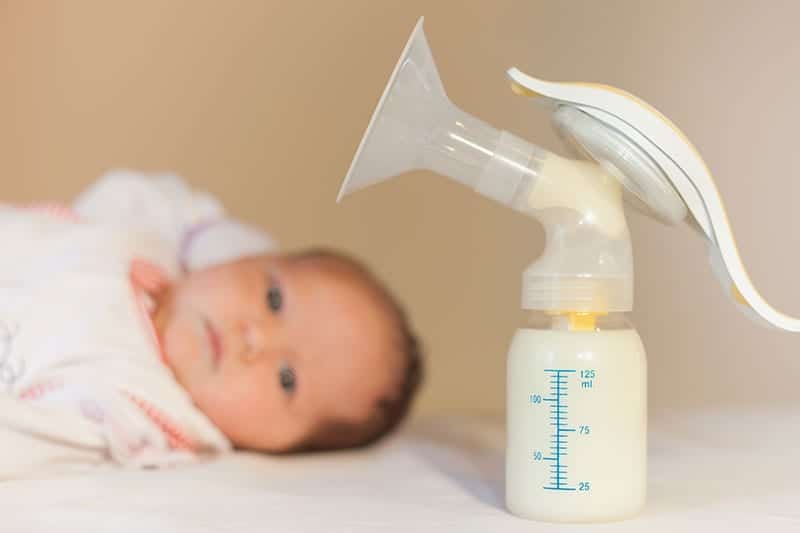 Consequently, nighttime breast milk has higher levels of melatonergic pathway products that may act to entrain the infant’s developing circadian rhythms. As a result, nighttime breast milk is also therefore likely to have higher antioxidant, anti-inflammatory and immune regulatory effects. Given the importance of the gut microbiome to an array of childhood and adult-onset disorders, including metabolic dysregulation, nighttime breast milk melatonin is likely to be of some importance to the cause of a wide array of medical conditions, including sudden infant death syndrome (SIDS). As maternal stress fluctuates, and thus many breast milk components, melatonin serves as an important aspect to the inhibition of these stress effects, both in the mother and infant. Overall, alterations in the regulation of the melatonergic pathway will have significant impacts on the elements found in breast milk, and, therefore, in the regulation of the infant gut and immune system. The role of melatonin in nighttime breast milk and its influence on the other components of breast milk—while still being further researched—displays a direct role of the melatonergic pathways in the regulation of the infant’s gut, and therefore on the developing gut-brain axis and immune system. Recently, researchers have proposed that melatonin should be added to a nighttime specific baby formula in order to bring formula feeding closer to the benefits of breast milk. 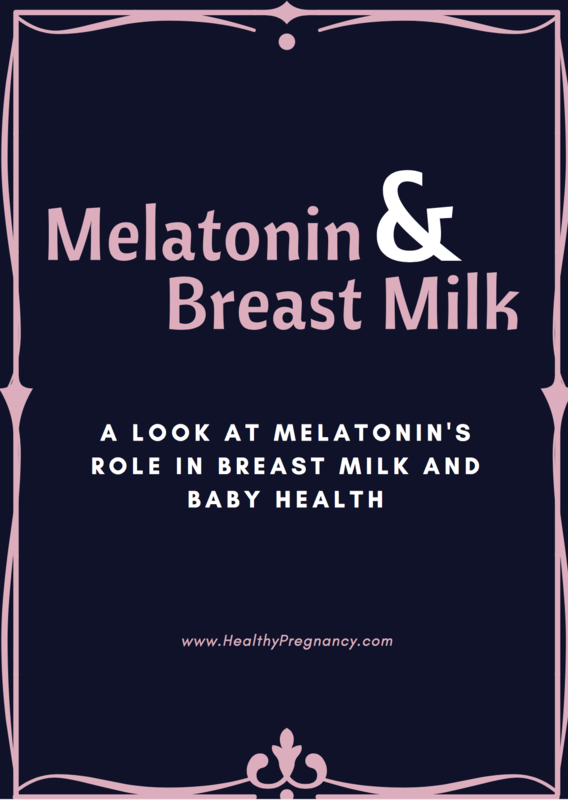 The absence of melatonin in baby formula is a major deviation from the natural presence of melatonin found in a woman’s nighttime breast milk. This research has found that the addition of melatonin to formula may be most beneficial when it comes to premature infants because of the parallels to the addition of proteins, fats and carbohydrates to breast milk for babies born preterm. The period to full term that is lost in premature infants would have been a period of high, continuous exposure to placental melatonin, perhaps indicating that all pretermer feedings should contain melatonin. Given the array of benefits of melatonin and other melatonergic pathway products, researchers believe it is highly likely that melatonin will prove beneficial in the management of necrotizing enterocolitis, a serious disease which occurs in premature infants when the intestinal tissue becomes damaged. While more research is still taking place on the topic, conclusions have already begun to form regarding the integration of the melatonergic pathways and the interaction of breastfeeding with the development of the gut, gut-brain axis and immune system. Thus, proper melatonin exposure to a growing fetus and developing infants may target the melatonergic pathway in breastfeeding and the gut will become stronger in the prevention of a host of infant-, childhood- and adult-onset medical conditions.